Desiccant dehumidifiers work according to the absorption principle, making them ideal for high humidity levels at low temperatures. Desiccant dehumidifiers use a slowly rotating disc or belt that absorbs moisture from the air. The damp section then moves through a drying process (typically a heating element) that evaporates the water and collects it in a tank. As they don’t use cooling to extract the moisture, desiccant rotor models can be much more effective than refrigerating models in cold climates. Best of all, the performance of desiccant dehumidifiers are largely unaffected by the temperature of the air. The dehumidification rate remains stable in low and high temperatures, making them suitable for all seasons. Removal of up to 10 litres of moisture per day from domestic or commercial areas. Helps prevent mould and mildew. The Ionmax Ion632 lowers and maintains optimal humidity in a property, preventing mould and mildew, protecting wood flooring and furniture, and preventing walls and ceilings from rotting and peeling due to moisture. It assists in drying laundry efficiently in cooler months. It features a CFC-free desiccant rotor, air ﬁlter, and various safety functions. 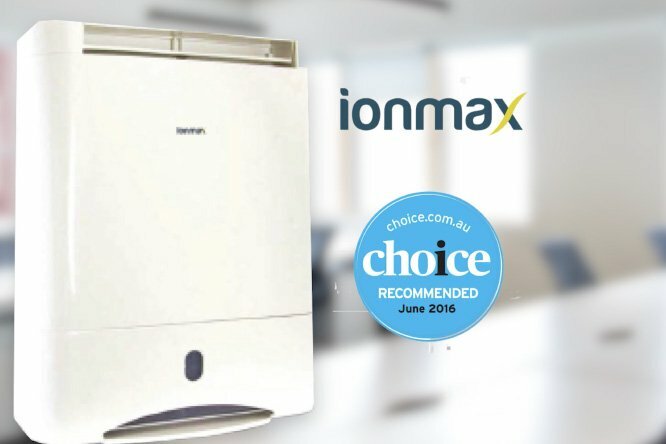 Sturdy and durable, the Ionmax Ion632 is perfect for daily use in preventing mould and dampness, drying clothes, and improving the air quality in your home and ofﬁce. Being able to remove 10 litres of moisture per day (20°C RH60%) while staying energy efﬁcient, it is ideal for daily use. When water is heated it changes into vapour. Condensation occurs when the vapour cools and changes back into liquid. When air is humid, condensation will occur at the slightest drop in temperature. For water to condense, the air within an apartment has reached a level of humidity where the dew point is above the temperature of a surface. Indoor condensation can cause damage to fabrics, discolour paint and wallpaper but, more importantly, promotes conditions suitable for mould growth. Why is condensation a problem in modern houses and apartments? Insulation and construction materials used today are designed to keep cold air outside. However, energy efficient designs and weather stripping also keeps warm moist air inside. When combined with the additional moisture from showers, cooking and clothes dryers, the result is excess moisture and higher levels of relative humidity. What contributes to humidity in a property? High numbers of people within a property. High amount of steam escaping from bathrooms. Plants, pets and fish tanks can also increase humidity levels. Building defects such as leaky plumbing, roof defects, covered passive vents and broken seals on doors or windows. 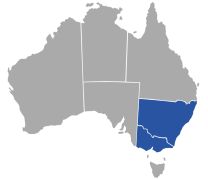 Moisture generated within a property will remain in the space until the air conditioning system is used in cooling/dry mode or any of the exhaust air systems range hood, bathroom exhaust fans or dehumidifiers are used.